I have a theory* that there are three kinds of ignorance. There is no shame in not knowing something, and there's no shame in not having access to the education or experience that would provide that knowledge. This kind of ignorance is much closer to innocence, and doesn't bother me a bit. In contrast, deliberate ignorance makes me absolutely crazy. This is the kind that persists in spite of access to knowledge. If you've turned on the news or accessed the internet in the last twenty years, you'll have ample experience with it. It afflicts people of all ages and political inclinations, and causes people to say, in the face of overwhelming factual evidence that conflicts with irrational, deeply-held beliefs, "We'll just have to agree to disagree." "What is matter actually made of?" "Why do kids look like their parents?" "Is there life on other planets?" This is where science starts - with the recognition that we don't know something. Most of us would stop there, but not scientists. Scientists put on their trusty lab coats and go find out. 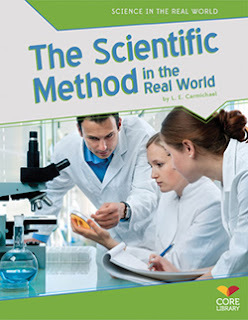 After all, that's what the scientific method is for - to give us the tools to banish ignorance, to produce knowledge about ourselves and our world that we never had before. Scientific ignorance is constructive ignorance - it creates, rather than destroys. It discovers solutions and solves mysteries and shines light into the darkest depths of the unknown. And that's how ignorance, instead of being something to deplore, becomes something to celebrate. *Not a scientific theory, which is supported by so much evidence that the actual word for it is fact. What I have is more properly termed a notion. **And all the other people who go in search of answers to their questions. There's been a new job posting at NASA, for a Planetary Protection Officer. Sounds like something from the film Men In Black, doesn't it? But for NASA, planetary protection isn't so much about people resisting invasion by giant space bugs. It's about tiny germs. NASA needs to avoid "organic-constituent and biological contamination in human and robotic space exploration." Policies for planetary protection apply to all space flight missions, whether they might carry Earth microbes or bring back microbes in samples from comets and asteroids. The posting lasts three to five years before someone else will be hired. The current holder, Catharine Conley, was presented with a pair of sunglasses on her first day in the job back in 2006 - bringing to mind Tommy Lee Jones and Will Smith in Men in Black. Dr Conley told the New York Times in 2015 that she was keen to keep Mars from becoming contaminated by anything from Earth. "If we're going to look for life on Mars, it would be really kind of lame to bring Earth life and find that instead," Dr Conley said. "So far, Mars is still pretty clean." While most of the people applying for the position already work at NASA in some capacity, one of the first applicants was a civilian. 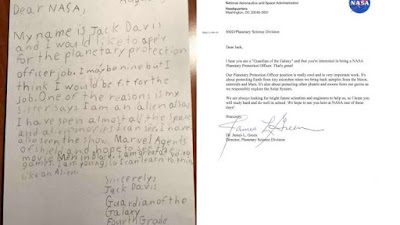 Nine-year-old Jack Davis sent his letter of application, and it was well-received. The director of NASA's planetary science division, Dr James L. Green, wrote him an encouraging reply and you can read both letters at this link. “Well that’s cool,” I said with total skepticism. The next day, I said I wanted to see the jellyfish. Totally bracing for the “we’re just kidding” punchline, off we went. Canoeing into a little bay of a medium sized lake in eastern Ontario, my son dipped a pail in the water, and pulled up several jellyfish about the size of a quarter. White, but mostly transparent. They looked almost like large contact lenses. Delicate, undulating in the green bucket. The bay was full of them. A bloom of jellyfish. In fresh water. They didn’t sting. Or if they did, they were so small that it was hard to tell. I didn't want to touch them because they are so delicate. I had to learn more about this. It turns out that these jellyfish (C. sowerbii) are an invasive species, and they are quite widespread across North America. You can report sightings of them on the Freshwater Jellyfish website. How Long Have Jellyfish Been in North America? This year there are thousands of news reports about the freshwater jellyfish, but there have been confirmed sightings in Canada and the USA as far back as 1934. There are even reports from the 1800s in London, England. Sightings are reported throughout Canada and the USA, but that 1934 sighting was in Horseshoe Lake near Ste. Agathe-des-Monts, Quebec. How Can I Get a Closer Look? If you want a closer look at these jellyfish, you can scoop some up in a clean bucket for a few minutes. Be sure to gently put them back where you found them. Check the sightings at FreshwaterJellyfish.org to find a likely lake. They are big enough to see with just your eyes, but a magnifying glass will help you get a closer look. The adult stage only lasts several days, so you may not find them when you go to look. It takes about a month for a jellyfish to grow. I saw them bloom on a very warm weekend one Thanksgiving but there are many reported sightings in mid-summer. Where Did Freshwater Jellyfish Come From? They probably came in the water inside a ship from South America, or on imported water plants from China. They are found in crystal clear water, in slimy ponds, and in every kind of water in between. How Can We Help Prevent Them from Spreading? Clean boats and water toys in hot soapy water, just as you would to stop the spread of zebra mussels and gobies. Don’t take plants from an infested place and put them in a new place. Can you Keep at Jellyfish at Home? Delicate and eerie, jellyfish have a mesmerizing appeal. Like any wild animal, they are healthiest when left in the wild. Like any invasive species, it’s best not to transport them to new areas, where they can infest more lakes. Aquariums that keep jellyfish find it very difficult. None have been able to keep freshwater jellyfish on display. They usually only live a few days in captivity. It takes special equipment to keep the pH correct and the water circulating continuously, and they need a constant supply of fresh plankton. Raising jellyfish takes a lot of attention. An aquarium is hazardous itself, as the delicate jellyfish can get sucked into filtration systems and pumps, and air bubbles can get trapped inside the jellyfish, holding them at the surface. Freshwater jellyfish do sting, but their stinger is so small that it can’t seem to penetrate human skin. Some people do feel an irritation but it seems to be easily washed off. It’s not yet known how these creatures will affect the ecosystem. They do eat plankton, which other species rely on, creating competition for the food. They are also eaten by gulls, crayfish, and turtles, providing new food that may help those species thrive (which in turn can affect other species that compete and rely on those animals). Few organisms have a zero sum impact on the environment they live in. We just haven’t seen the full effect yet. 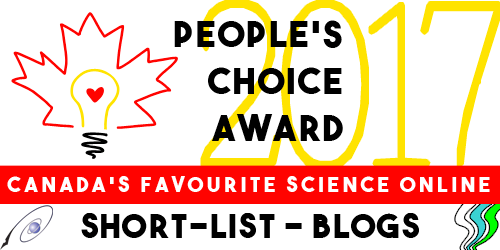 Among all the science news this summer of various kinds across Canada, here's a piece of good news about a person who spent a career working in a science field. After 40 years as an engineering librarian, Randy Reichardt has retired. His colleagues and friends gathered on June 28 at the University of Alberta to celebrate his retirement -- dozens in person and dozens more watching an online live feed of his retirement party. Among the praise that was lavished on him were the facts that Randy was the first engineering librarian to include social media referencing and has been awarded the title engineering librarian of the year for North America. He's earned many honours over the years in the field of library science! Here's a link to the Engineering Guides available through the University of Alberta Libraries, where Randy worked until this July. 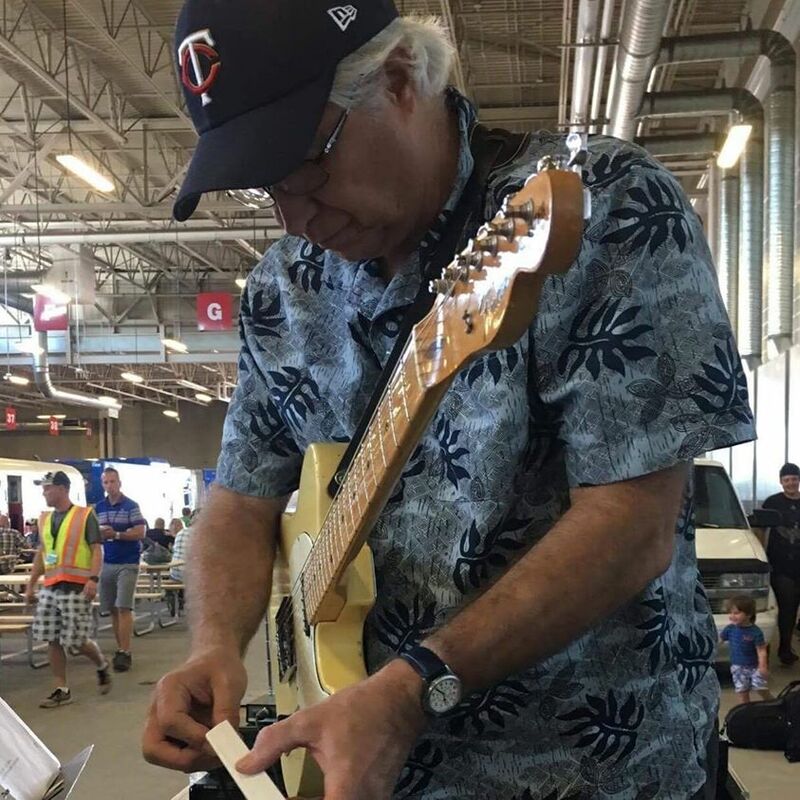 This is Randy's current profile picture on Facebook, which he's captioned: "Tuning up for the weekend gigs." Another engineering librarian praised "the knowledge, humour and generosity of simply the best amongst us." One friend sent thanks "to the librarian who taught me everything I know about Leptinotarsa decemlineata, Click beetles, space elevators, and MathSciNet on CD-ROM." And a colleague who met Randy several times at conferences or library advisory board meetings noted: "Your innovative outreach methods and your Scitech Library Question blog that you started many years ago motivated me to explore, evaluate, and experiment with new engineering electronic resources and innovative instructional approaches." That blog, Scitech Library Question, was written by Randy from 2003 to 2009. If you're thinking about a career in library science, or as an engineering librarian, there are hard-working people like Randy in this field, making a difference with every library user they help or colleague they advise.